Former Australia captain Michael Clarke has revisited old feuds, describing Shane Watson as part of a group that was "like a tumour" on the team. Star batsman Clarke also spoke of his notorious dressing-room bust-up with Simon Katich, who grabbed the then vice-captain's throat during a disagreement about when the team song should be sung after Australia's Test win against South Africa in 2009. In a television interview with Channel Nine's 60 Minutes programme aired late Sunday to coincide with the release of his autobiography, Clarke spoke of his stormy relationships. 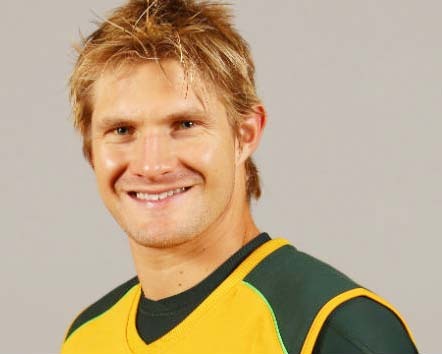 He denied labelling all-rounder Watson a "cancer" on the team, a claim made by Mickey Arthur in documents connected to the former coach's legal action against Cricket Australia following the South African's sacking three years ago after a 4-0 defeat in India. Watson had been one of four players stood down by Arthur and Clarke for the third Test against India in Mohali in 2013 in the so-called "homework" affair. "No, I didn't say that," Clarke said. "I said that there is a number of players, or a group in this team at the moment that are like a tumour, and if we don't fix it, it's going to turn into a cancer." Asked if Watson was one of them Clarke replied: "Shane was one of those players, yes." He admitted the run-in with Katich caused a divide between him and the older players. "I think a lot of us were getting wound up, so I think I had every reason to be pissed off," Clarke said. "But I don't think my language was appropriate to Kato (Katich). "It turned out -- I found out four days later -- that Matthew Hayden was going to retire after that Test match. So I think Haydos was pissed off as well that that happened in his last Test." Clarke who retired after the Ashes last year, said some of his problems started when he was appointed vice-captain to Ricky Ponting. "I don't think I was a good vice-captain at all," he told the programme. "As soon as I got given the vice-captaincy, I think the perception was I was automatically the next captain, and that built." The former skipper admits he struggled with the public perception of his personality. "I hated not knowing why people didn't like me or why the media perception was they didn't like me," Clarke said. "The negative stuff I would read, and I felt like I was reading it in bold letters. "You know, 'you're selfish, you don't care about the team, you're an upstart' - that was hard to deal with."